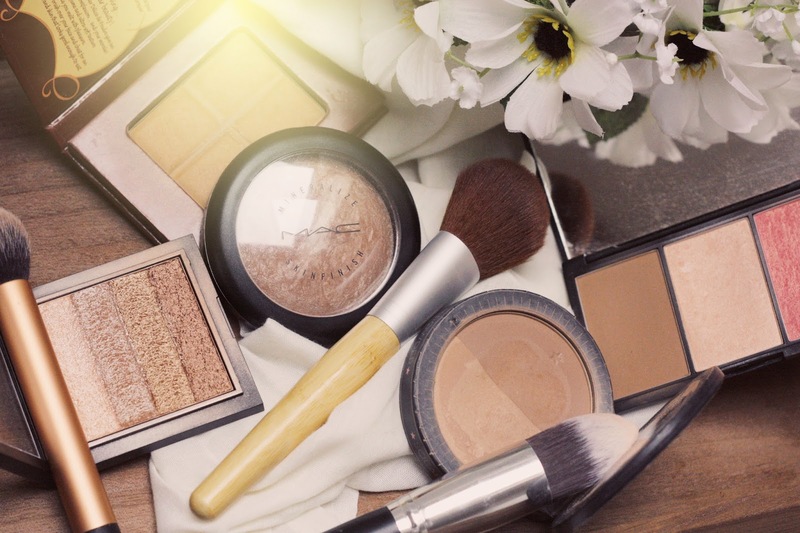 When it comes to bronzers and highlighters it's quite often that they are too orange or simply too muddy looking which to be honest, both of those aren't a natural go to look. My skin tone is olive, but it isn't very tanned... its more of a pale olive which makes my life quite difficult when it comes to bronzers and highlighters. I strictly can not have a pink tone highlighter on my face... it definitely works against my olive skin leaving me looking a bit meh! 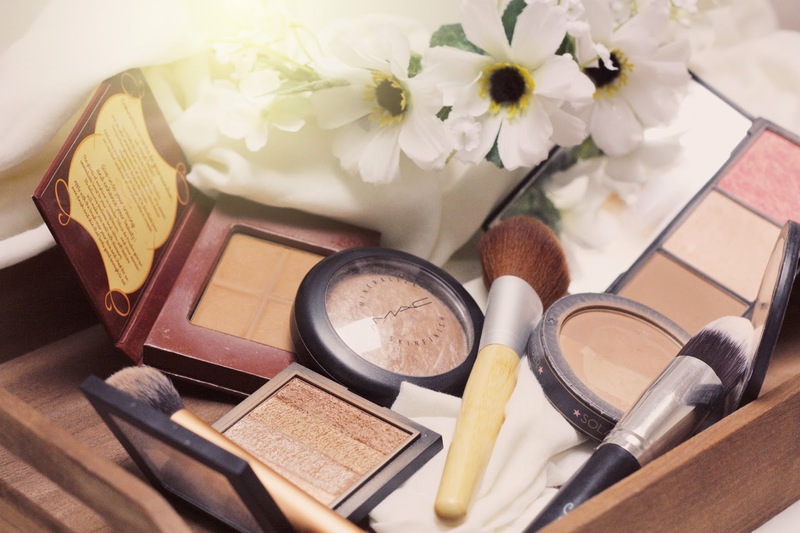 However this post is devoted to those bronzers and highlighters who compliment your skin, now they might not be everyone's taste but if you're like me, then give them go! I have been using this product on and off for the past year it isn't a bronzer I contour with as for me it can start looking muddy, so this is definitely the type of product that I tend to use with a big fluffy brush to give my skin some warmth. This is my favourite product for contouring, and the highlighter and blush is a beautiful combination and also bronzes the skin. I apply this using the Real Techniques Contour Brush lightly and build depending on the desired look. This product isn't a bronzer it is a highlighter but the prettiest and most pigmented highlighter I own. I used this consistently when I went on holiday last year as it looks so beautiful with a tan! I picked this item up brand new at a carboot sale! A woman there sold all sorts of make up from high end to drugstore and this I believe is around £12, I paid about £7 for it! To start with the bronzer had a lovely pink highlight in the middle which has now disappeared due to use. I do like this bronzer, it has two shades and I tend to just swirl my brush around and pick up both shades, however this isn't very pigmented and I use it more for a quick flush of warmth to my skin. This product is very shimmery however if applied with a lighthand you do get a nice glow. 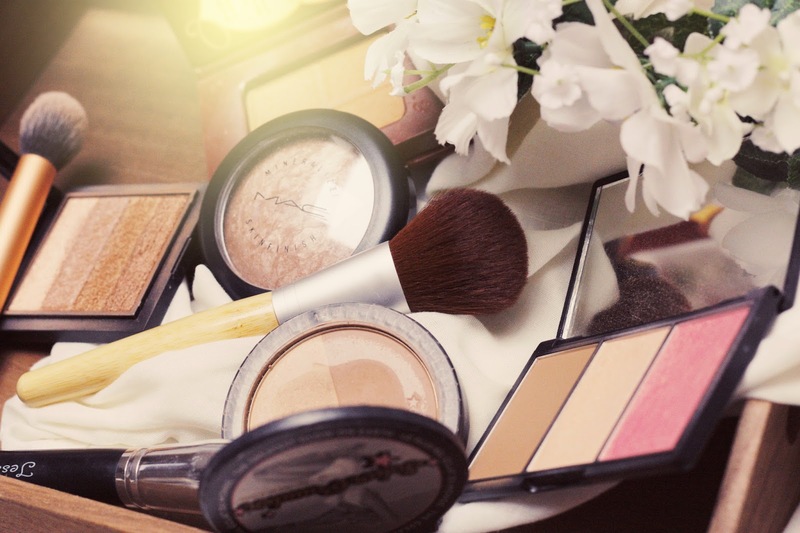 The top two shades can be used as a highlighter also so you have two products in one! I often use this as an eyeshadow quad too which compliments my green eyes. 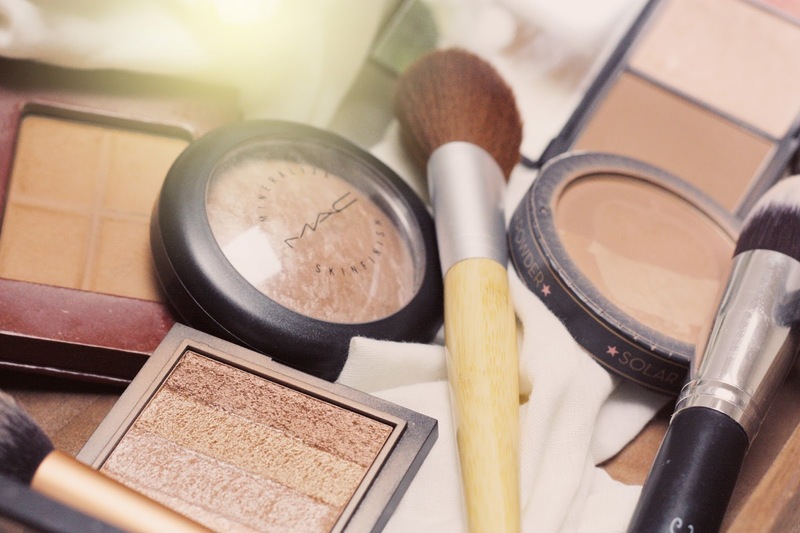 So have you tried any of these bronzers & highlighters? If so what are your thoughts?